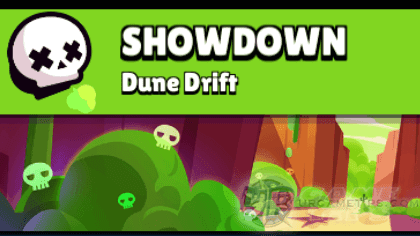 Here's some quick tips and guide on how to survive and win Brawl Star's Showdown event mode (Dune Drift Map), in the fast-paced multiplayer online battle arena mobile game app for Android and iOS players. - Scattered across the map, outer spawn points are more suitable for campers while the inner spawn points for aggressive brawlers. - I highly suggest that you learn the spawn point locations and enemy movements especially for campers. - Boxes will randomly appear near spawn points, but most of them can be found around the center area (scattered). Boxes are somewhat easy to get, even with Brawlers that requires multiple hits to break boxes. - Bushes are easy to scout, almost designed for ranged Brawlers. Obstacles also got some wide spaces between them giving ranged Brawlers more space to move and attack. - Getting 10th or 9th place here isn't common unless you are too aggressive and careless. Also, if you find your matches too long or annoying because of campers or teamers, try to play again after a couple of minutes to reshuffle competing players. - Examples: Shelly, Nita, Bo, Frank, Pam, Poco, Gene, and similar Brawlers. - Grab Power Cubes that you can (sacrifice boxes if being chased by someone stronger). - Use all bushes nearest to you for hiding, if you spawned near the center, try to move towards the corners. Only attack if needed, and survive until there are only around 6 left, then go a bit aggressive or continue hiding. - Check enemy movements to track which locations near you are safe. - If there are too many campers, moving a lot would be risky, if possible fend off enemies to defend your position or area. - Moving from bushes to bushes can be tricky, so always watch enemy movements to learn when to move. Example: When they are no enemies nearby or while they are fighting. - Once those poison clouds closes in to the center, keep hidden if possible to avoid being targeted by enemy auto attacks, and use those obstacles as shield. Use your range and pick your fights well, if possible, try to wait for them to hit each other first before joining in. - Examples: Bull, El Primo, Darryl, Mortis, and similar Brawlers. - Same strategy above but this time if you get spotted, use your move speed to dodge and escape from long ranged attacks. Do not run in a straight line to be less predicable. - You'll be in a disadvantage once the fight is taken to the center because of your range, so use those obstacles and remaining bushes to your advantage. If you can survive well, getting top 5 should come smoothly. - Note: This map is ok for melee type Brawlers, but there are better maps for these guys, especially if you have great upgrades. Darryl and Mortis however can be good here to pick off squishy or low HP targets (best if you have their Star Power unlocked). - Examples: Colt, Brock, Piper, Tara, Leon, Spike, Crow, Barley, Dynamike, and similar Brawlers. - I highly recommend ranged Brawlers here because their range alone is deadly for this map. - For Brawlers having a nice move speed and range is even better here because you can escape from melee Brawlers or easily chase targets. Move Speed would also let you run faster towards the center to break even more boxes. - Once those poison clouds closes in to the center, keep hidden if possible to avoid enemy auto attacks, and use those obstacles as shield. Do not let anyone come near you, kill them off asap. - You have lower max HP so they might target you first, pick your fights well and quickly lower someone else HP. 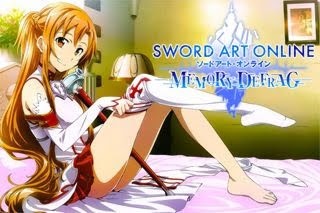 - This is very favorable for Campers!